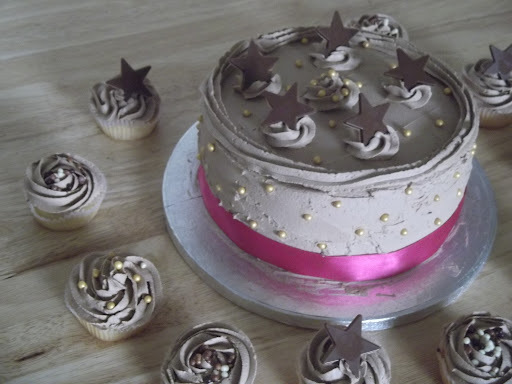 Now my blog is not purely about baking, you’ll find plenty of recipes here for savoury lovers but this last week or so I feel like I’ve been cooking cake, cake and more cake! First it was the Simnel cake, then cupcakes for my Mum’s friends birthday (check out the pictures on Facebook? ), and now, Chocolate Fudge Cake! This cake was specifically for my sister’s birthday. She is a big chocolate fan so wanted the ultimate chocolate fudge cake. 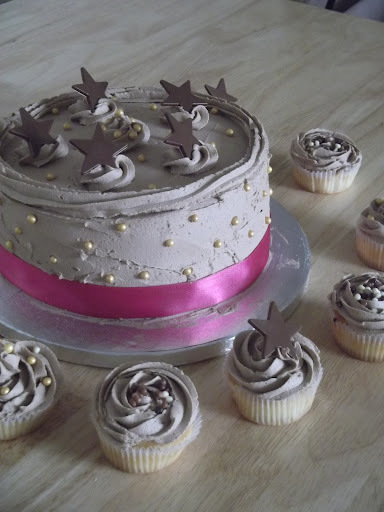 So here it is; a super moist chocolate sponge with an indulgent chocolate buttercream. 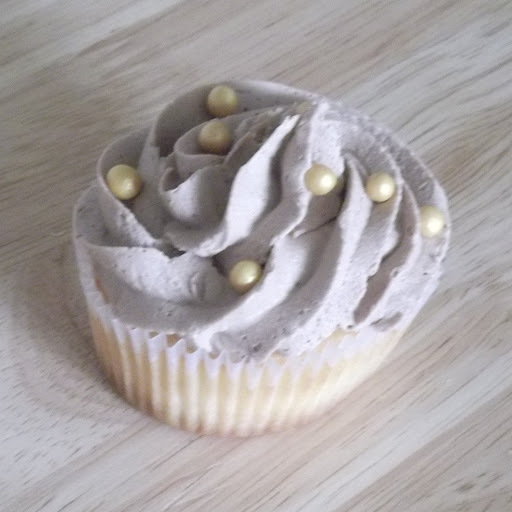 We also made a batch of vanilla cupcakes to decorate with the chocolate buttercream to go alongside the main chocolate fudge cake, just in case it was possible to have TOO much chocolate in one cake! When you read the recipe you will notice that the cake itself uses oil instead of butter – unfortunately I don’t know the ins and outs of butter v oil in a cake recipe but what I do know is that it makes the sponge a lot more moist and spring-y! 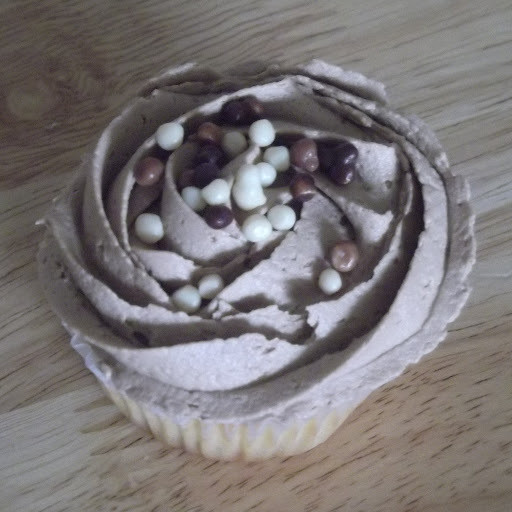 The buttercream also has an added ingredient. Instead of being made with cocoa powder, the recipe calls for melted chocolate! This makes it taste ten times more chocolate-y! Just make sure you are careful not to add it when it is boiling hot! To give your cake a darker colour, you can always replace the milk chocolate with dark chocolate – or do a mix of both if you’re not too keen on the bitter flavour of darker chocolate. 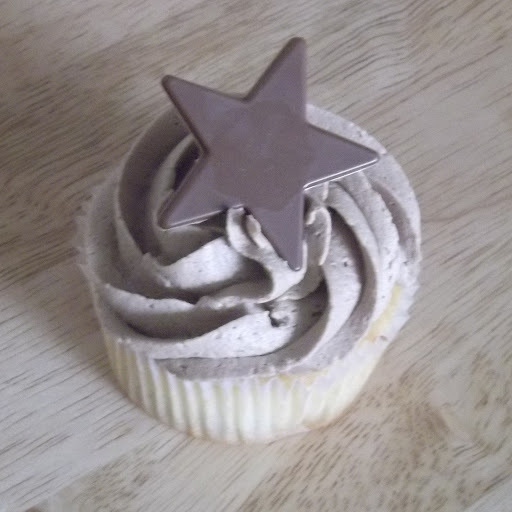 I promise though, despite the buttercream being quite pale, it certainly doesn’t lack taste! First pre-heat the oven to gas mark 4! Sieve the flour, cocoa and sugar into a large bowl and make a well in the middle. Whisk the eggs then pour them into the well along with the milk, oil and golden syrup. Using an electric whisk beat until smooth and frothy! Pour the mixture into two well greased cake tins and cook for 25mins or until spring-y. To make the icing, mix the butter and icing until smooth. Melt the chocolate and leave to cool down. When the chocolate is cool but still runny add it slowly to the butter icing and mix until smooth and chocolate-y! If the icing is too stiff to spread/pipe, add a little milk. Wow that is one beautiful cake! Thanks Sinead! I have to admit I'm particularly proud of this one!!! Thanks Xinmei! I'm going to do it with a toasted marshmallow frosting next time!